Presentations are written using HTML or Markdown but there’s also an online editor for those of you who prefer a graphical interface. Give it a try at http://slides.com. It’s possible to write your slides using Markdown. To enable Markdown, add the data-markdown attribute to your <section> elements and wrap the contents in a <script type="text/template"> like the example below. A ‘ready’ event is fired when reveal.js has loaded all non-async dependencies and is ready to start navigating. To check if reveal.js is already ‘ready’ you can call Reveal.isReady(). When this is turned on a control element will appear that enables users to pause and resume auto-sliding. Alternatively, sliding can be paused or resumed by pressing »a« on the keyboard. Sliding is paused automatically as soon as the user starts navigating. You can disable these controls by specifying autoSlideStoppable: false in your reveal.js config. Whenever the auto-slide mode is resumed or paused the autoslideresumed and autoslidepaused events are fired. When working on presentation with a lot of media or iframe content it’s important to load lazily. Lazy loading means that reveal.js will only load content for the few slides nearest to the current slide. The number of slides that are preloaded is determined by the viewDistance configuration option. To enable lazy loading all you need to do is change your “src” attributes to “data-src” as shown below. This is supported for image, video, audio and iframe elements. An ‘slidechanged’ event is fired each time the slide is changed (regardless of state). The event object holds the index values of the current slide as well as a reference to the previous and current slide HTML nodes. The presentation’s current state can be fetched by using the getState method. A state object contains all of the information required to put the presentation back as it was when getState was first called. Sort of like a snapshot. It’s a simple object that can easily be stringified and persisted or sent over the wire. If you set data-state="somestate" on a slide <section>, “somestate” will be applied as a class on the document element when that slide is opened. This allows you to apply broad style changes to the page based on the active slide. 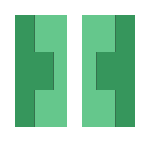 Slides are contained within a limited portion of the screen by default to allow them to fit any display and scale uniformly. You can apply full page backgrounds outside of the slide area by adding a data-background attribute to your <section> elements. Four different types of backgrounds are supported: color, image, video and iframe. Below are a few examples. You can also add relative navigation links, similar to the built in reveal.js controls, by appending one of the following classes on any element. Note that each element is automatically given an enabled class when it’s a valid navigation route based on the current slide. This cross-window messaging can be toggled on or off using configuration flags. Presentations can be exported to PDF via a special print stylesheet. This feature requires that you use Google Chrome. Here’s an example of an exported presentation that’s been uploaded to SlideShare: http://www.slideshare.net/hakimel/revealjs-300. Open your presentation with print-pdf included anywhere in the query string. 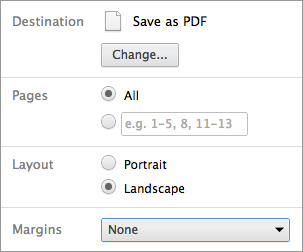 This triggers the default index HTML to load the PDF print stylesheet (css/print/pdf.css). You can test this with lab.hakim.se/reveal-js?print-pdf. reveal.js comes with a speaker notes plugin which can be used to present per-slide notes in a separate browser window. The notes window also gives you a preview of the next upcoming slide so it may be helpful even if you haven’t written any notes. Press the ‘s’ key on your keyboard to open the notes window. You’ll need to generate a unique secret and token pair for your master and client presentations. To do so, visit http://example.com/token, where http://example.com is the location of your socket.io server. Or if you’re going to use the socket.io server at http://revealjs.jit.su, visit http://revealjs.jit.su/token. If you want to display math equations in your presentation you can easily do so by including this plugin. The plugin is a very thin wrapper around the MathJax library. To use it you’ll need to include it as a reveal.js dependency, find our more about dependencies here. The plugin defaults to using LaTeX but that can be adjusted through the math configuration object. Note that MathJax is loaded from a remote server. If you want to use it offline you’ll need to download a copy of the library and adjust the mathjax configuration value. Below is an example of how the plugin can be configured. If you don’t intend to change these values you do not need to include the math config object at all. Read MathJax’s documentation if you need HTTPS delivery or serving of specific versions for stability. The core of reveal.js is very easy to install. You’ll simply need to download a copy of this repository and open the index.html file directly in your browser.